An interesting thing here is the mechanics of Twitter, which is fundamentally different from Digg and Slashdot. It’s not a social news site, with a front page that all visitors go to. We won’t go into the details of how Twitter works, that’s better covered elsewhere, but it’s worth noting that it’s a very different beast. It will be interesting times if Twitter is about to join the ranks of Slashdot and Digg as a potential “site crasher”. How could a single tweet generate that much traffic? First of all, of course it was a big factor that Pete Cashmore is one of the people on Twitter with the most followers (people who have subscribed to his tweets). According to Twitterholic, he has more than 50,000 followers. But the key here may not be just the number of followers of the initial tweeter, but the retweets. A retweet is when a Twitter user resends a message so that his/her own followers can share it. Pete Cashmore was the most retweeted Twitter user during the period when the affected blog went down (according to Retweetist). The interesting thing about retweets is that they have the potential to increase the spread of a tweet exponentially, especially if some of the retweeters also have many followers. It might be worth pointing out that the blog that crashed was on a shared hosting account (at Dreamhost). A blog on a dedicated server or a cluster would have handled the amount of traffic better, but what happened is still very relevant. There are a LOT of blogs on shared hosting accounts, and as Twitter keeps growing, who knows what kind of traffic generation it will be capable of? This way, tweets can spread out like the branches of a tree or a root system and reach a very large number of Twitter users. The spread is basically only limited by the size of Twitter’s user base. If the tweet contains a link to a site, this site is bound to get a significant amount of traffic as the tweet spreads. Note that there may also be more than one original tweet pointing to the same target, and the general discussion around a post on other parts of the Web is also bound to create its share of activity on Twitter (and elsewhere too, of course). Think of it as “the great echo chamber” and you get the gist of it. It’s similar to how much of the blogosphere works, which is a good analogy since Twitter is, after all, usually called a microblogging service. As Twitter’s user base grows, will traffic from Twitter soon be a common reason for site outages? Please share your thoughts (and experiences?) in the comments. Credits to Rich Miller at Data Center Knowledge for catching this in the first place. Roots image from Wikimedia Commons. I don’t think I would mind my blog crashing due to a large number of Twitter traffic. There is absolutely no doubt to me that we are only beginning to see the power of Twitter! Thanks for this post! Of all the problems I could run into online, getting too much traffic would be my favorite. This particular affect reminds me of a herd (followers) of buffalo (forgive the reference) and how they dart about the open plains (world wide web) headed in whatever direction the lead buffalo (in this case Pete) is headed. Nice post. Thanks for it! Indeed. I just tweeted a link and it was retweeted about 6 times already ! I think this is only another side of the same problem, hosting services not being prepared for traffic surges, there should be a paid service hosting servers use when they run into this kind of trouble, oh wait, I think it has sth to do with the cloud. Nice explanation and yes I do think this will happen more as Twitter has been exploding as of late. Good thing to see quality posts spread virally and shows that we have only touched the tip of the power of Twitter. As an example I found this post through a retweet. Great Article.. This is the true power of Twitter.. Massive leverage of your network.. This is why you must get a following. Otherwise you are talking to an empty room.. Spend time giving value, sharing tools, knowledge, resources, opinions, demonstrating your expertise, and you will soon get a good following.. Then you will see the real value of using Twitter.. It is worthwhile to note that this does not happen as often as one might assume given the wording of this article. Even a dedicated server can potentially be crashed or slowed by the slashdot/tweet effect! On the other hand, that type of traffic is the intent of the creators of websites (usually), and it is a boon to have your site crashed by something relevant from high publicity. And on another note, the cost associated with a dedicated or virtual dedicated machine is rarely justified by the traffic of the typical blog/vlog, and they are much more difficult to manage. Great post, I can see how that would be overwhelming for any server. What I have noticed since we have five accounts is how on some of our Twitt accounts we get more RT than others. I wonder how much the number of followers or the ppl you follow plays a role in that viral? It would be worth looking into. I love posts that make you think and you dear man have accomplished that ! Bravo! That’s why I initially got into twitter – to help drive traffic to my blog. Now I realize it’s so much more than that and you are missing the point if you are only on twitter to get retweeted and drive traffic, though that is an awesome side benefit. The thing I love most about twitter is the people I am meeting daily and the whole world of opportunities that are unfolding by simply being me, online, for all the world to see and appreciate and love. Because I totally love seeing, appreciating, and loving them right back! Great post on “the Twitter Effect” – more specifically, of the exponential power of RT’s and followers to drive traffic. The real Twitter Effect would take a whole book to explain, and even then, if you aren’t on Twitter, you wouldn’t get it until you experienced it for yourself. Peace and BTW, follow me http://www.Twitter.com/HolisticMamma for a good time LOL! Heh, I tweeted this a few minutes ago. I doubt we’ll be able to bring down the Royal Pingdom blog (heh), but maybe the traffic stats afterward could lead to a followup post about the size and nature of the Twitter Effect? BTW: we’d *love* for you to write such a post as a guest on Mashable, sharing your insights with our regular readers. Seems like this would be fairly rare occurrence, since most blog posts are not too earth-shattering. On the other hand I agree that most blog sites want this much traffic, and a good host will help them in this situation. Definitely the twitter effect needs to be reckoned with! It may eventually have some effect but I think there are fundamental differences that make it less likely. With /. you have a sequential list of posts that you can go through. When I was active on /. I could see all of the articles posted and keep up with them. On twitter I can’t even keep up with everything from the folks I follow, much less the greater twitterverse. I never saw the original or any retweets of the link mentioned above. On /. I would almost certainly have seen it. Also with sites like Digg and /. there is an introductory article with more than 140 characters available to “sell” the link. You could tell if it was something you’d be interested in learning more about. With twitter the tweet needs to be very well written to draw that same interest. Some people will click on anything, others will click on something from a source they trust and others need to be sold. Finally, /. catered to a single demographic. Computer geeks. Oh, there were others, but they were vastly outnumbered. The likelihood of a single /. article attracting the attention of the vast majority of users was pretty high. Twitter is populated with tech heads and geeks, but there are also business people and soccer moms and photographers and designers and wedding coordinators and…… well, you get the idea. There is some overlap, but the more social nature of twitter lowers the bar for participation and thus spreads the primary interests of participants over a much wider area. More people is now discovering the Twitter Effect. So we might experience more of this ‘luxury’ problem. Hey Pete Cashmore is invited to Mash and Chrash my blog anytime. IMO, the only catch regarding the Twitter Effect versus the Slashdot/Digg effect is the immediate nature of the twitter community versus a more asynchronous medium like Slashdot. I agree with Are Morch, it is a ‘luxury’ problem, and most bloggers and websites nowadays prepare for the digg effect, and now the twitter effect. It is not a problem, but a known fact and hope that one day your website will be ambushed by traffic. Twitter is HUGE. My life coach was able to help her sister get 3 new clients on her sister’s 1st day on Twitter by tweeting and her followers re-tweeting. It’s amazing! Very interesting, and no great surprise as Twitter has been getting lots of noise in recent weeks – not just in the U.S.
What I did fing interesting is that Pete Mashable is one of the most followed on 50k, well I and many Brits have not been using Twitter long and good old Stephen Fry, the last person I expected to find on here has over 100k followers! Some might say it’s a crazy world! It’s called cloud computing people. Use Mosso and you can handle any traffic thrown at you. This is probably the beginning. As Twitter hits a tipping point and loads more people sign-up I think the Twitter effect will become a very common problem? Retailers beware..
Me too. Found this post on a RT. It’ll be interesting to see how hosting providers evolve. Someone like me on a shared server would certainly feel the pinch sooner should it happen. @Pete Cashmore: Thanks for the tweet! Great idea regarding a follow-up guest post on Mashable. You’re on. I see twitter as a giant, open-to-the-public chatroom with filters and 5 million people in it. Say something interesting or provide a link to some great content and there is massive potential waiting to be unleashed. The real test is will Twitter crash this site and article? I RT’d it. To get twitter traffic you need to be topical and relavent to the twitter audience. For example you could have written the same post last year about how facebook traffic brought down your site, and the same for youtube the year before. It’s true that twitter is more viral, it’s got such an easy interface to pass the message on, in fact I’ll probably be retweeting this in a few seconds time. I’ve also noticed in the UK it has now become mainstream, with almost every bbc show talking about it, so it’s definately the time to build a following and get your message out to the world. We are, beyond a shadow of a doubt, just beginning to see the “power” of the ‘Net’ in my humble opinion…there is much to learn, and see what happens in the ensuing months to come….as for me, I am pretty excited about the unlimited possibilities! … Great post its been enlightening to have landed here thanks … one point worth mentioning why did you not make use of that Twitter badge to your Twitter Acc … we could all check it out and follow HuH?? As one of the early nay-sayers, I must now add that Twitter will be a force for quite some time. Its simplicity is its greatest virtue. This is a great post. Really hits the nail on the head. We’ve all seen the upside to the Twitter Effect: e.g. thousands of dollars have been raised for various charities in next to no time. It’s an awesome thing to behold when that power is harnessed. But what worries me is the power of retweeting when it gets unleashed on some poor individual who happens to be having a bad day and says something ill-advised on Twitter. Within minutes they find that someone has stumbled upon their (now regretted) words, a post has been written, and an angry mob is now poised to destroy their character and their business credibility with a torrent of indignant comments, blog posts, and RTs. OK, perhaps I’m defending the indefensible in some cases, but it does seem that the Twitter Effect can cause us to do away with any semblance of a balanced enquiry. No benefit of the doubt is given, no questions are asked, and an instant “guilty” verdict is returned. Got a question for you, Mashable. You’re following 1698 twitterers. How do you read everyone’s twits? I’ve been following you since you started and I can’t even follow all of yours. How am I supposed to follow 262? 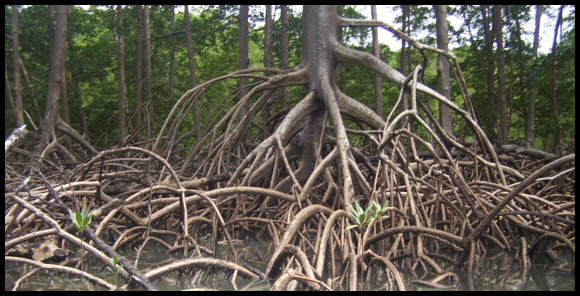 that twitter tree roots system reminds me of the idea of the rhizome. interesting. thanks. Heh, I try. Somedays I can’t read them all, of course. Perhaps “retweet” is the new “digg”? There is no doubt that Twitter have changed the deignation of social media and Twitter figure crossed Digg figures. I hope to see my website getting down with Twitter effect someday. Thats the power of distribution, Im on there so one day I have that type of effect on my tweets! How might the twitter effect be used to solve a major social problem? I would agree with the first comment. I would say CONGRATS! And I think Twitter is serving it’s real purpose. How I wish my site crashes because of traffic. A related article I wrote in 2004 is at http://www.1729.com/wiki/HowFastIsTheInternet.html (“How Fast is the Internet?”). Given the definition of “fast” in my article, one could argue that Twitter is making the internet go faster. For example, if you discover an interesting blog post 5 months after it was written, and Twitter could have presented it to you 20 minutes after it was written, i.e. via retweeting by people of similar interests, then that retweeting would have sped the Internet up by a factor of about 1000. See also http://www.1729.com/miski/miski-white-paper.html where I described a twitter-like system for links, with “reposting” (aka “retweeting links”). Haha, I like how the tree represents the Parent and all of it’s children. I say bring on the crash — what a delightful fate! And what a great image of the roots of the tree — really shows the ripple effect of tweets. I love twitter. It’s an amazing tool and Pete Cashmore is the man to follow. The tree pic says it all! At least we know that if stuff is being RT (re-tweeted) to that extent then it must be good. I hate it when people RT rubbish, it’s more effort than an email forward and even more annoying. HooNoze it could be GR8 for my business!! I think it is great that Pete (Mashable) sends links to more than just his site. It shows he wants his followers to get good information. I just hardly ever ReTweet his post, I figure everyone that follows me has already seen it. May have to rethink that. I know there are a few other Tweeters that can do the same site crash with just 1 link so, I am not picky about which one tweets me. I like the “Cashmore Effect” that Harold Campbell suggested! With the amount of Retweeting that happens, I would imagine that this is definitely going to be a growing issue, but one that most of us only wish we had. This is not a very new phenomenon. In your formula equation regarding re-tweets, etc., shouldn’t it take into effect that there will be a number of “followers” receiving re-tweets who previously received the same or original message from someone already? Such as the case of Person A sending a message, Person B and Person C are followers of A and both receive that message. Then Person B re-tweets that message and Person C(who also follows B) will receive the same message again. That doesn’t necessarily mean that Person C will go and follow the link a second time. @MW: You are right, and of course the formula is a simplified one. It was mostly meant to illustrate the spread potential of a tweet. If you were to incorporate lots of other factors and special cases for each “level” of retweets, overlap between followers, etc, then the formula would quickly become a mess. Twitter has been one of the visitor generator to our site. We do not have a very large follower group but we are getting good numbers of visitors in our site directly from http://www.twitter.com/99dealr and http://www.facebook.com/99dealr. We are having our http://www.99dealr.com, where people are coming from different places apart from Google (75%) like Twitter, Facebook, Pinterest and Stumbleupon. people to understand the why some time there is a slow internet speed.